Form of address:* Please select ... Family Ms. Mr.
All prices are per person and day and include half-board service + our popular regular Kogler services, incl. of all taxes and resort tax! 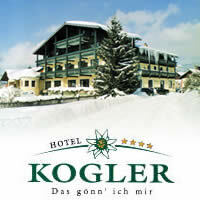 Discount for stays with breakfast only - EUR 9 per person and day.